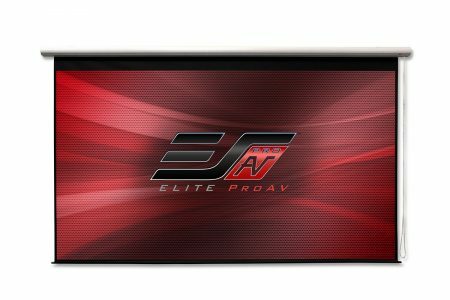 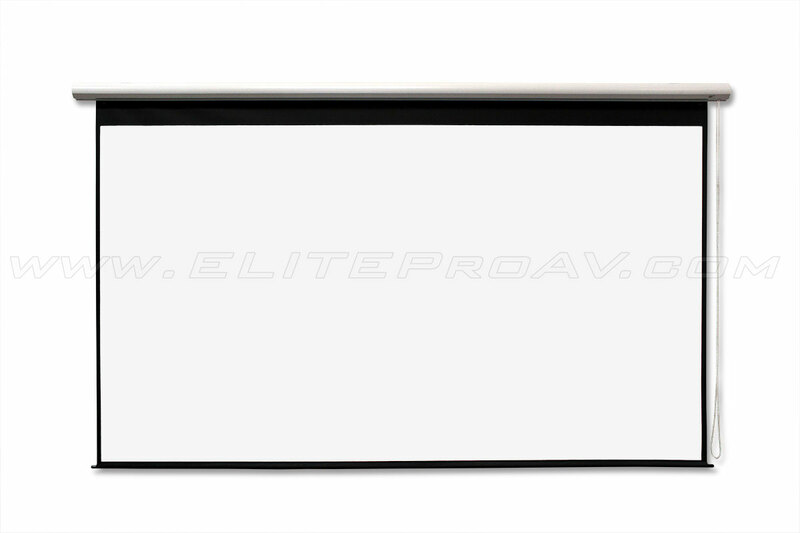 Manual Grande® Series - EliteProAV - Providing an array of dedicated commercial grade projector screens to professional integrators. 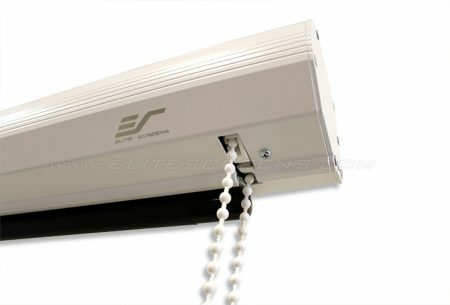 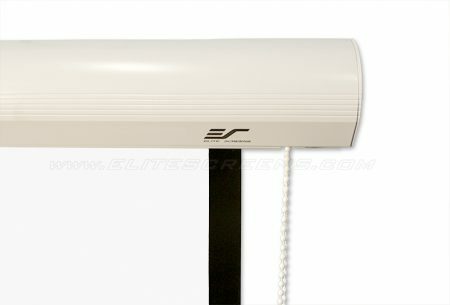 The Manual Grande® Series is a bead-chain operated retractable screen. 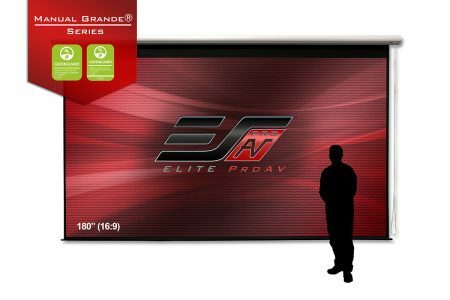 This large-sized manual projection screen uses a clutch system which allows the screen to swiftly roll, yet it can stop anywhere to prevent from being raised or lowered too far. 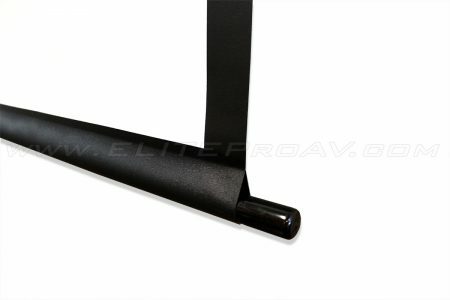 It includes wall/ceiling brackets for flush mounting, and a pair of eye-bolt screws that attach to the case for a suspended ceiling installation. 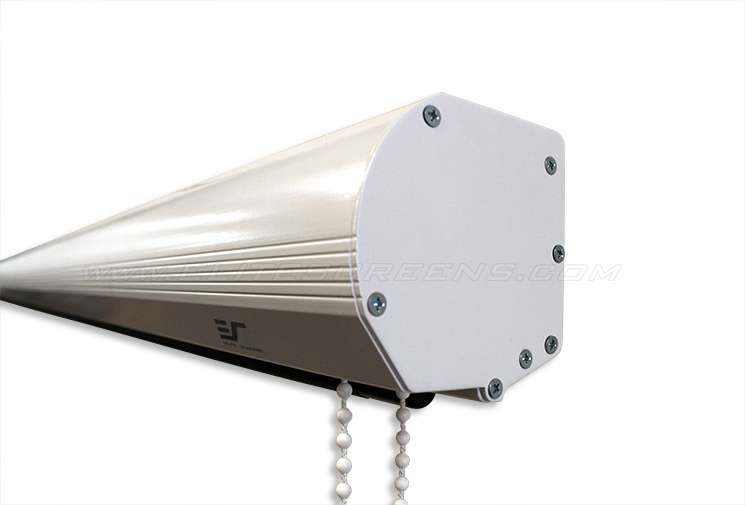 The housing is moisture resistant and available in a white finish. 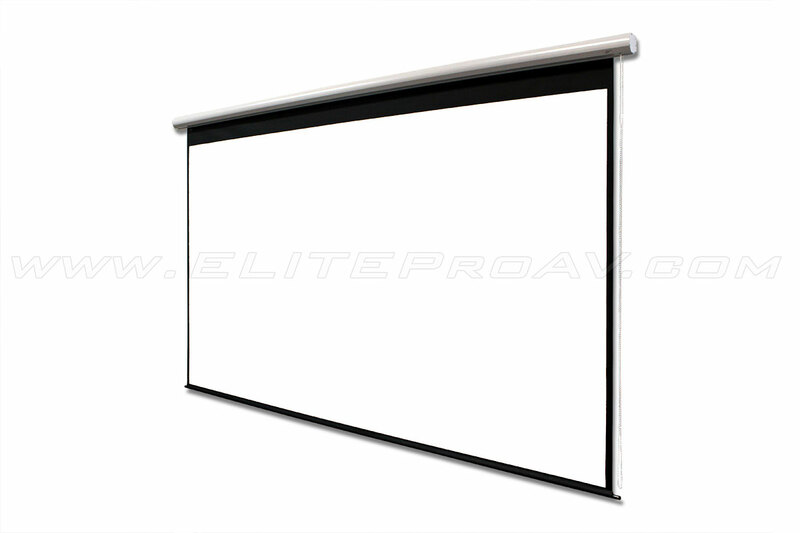 It is great for large room presentations for use in classrooms, training facilities, lecture halls, and a variety of business applications. 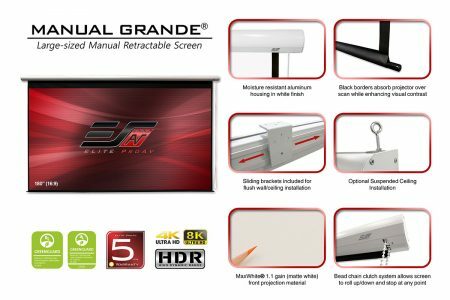 The GREENGUARD® Certified MaxWhite® 1.1 Gain Front Projection material is black-backed to eliminate light penetration for enhanced brightness. 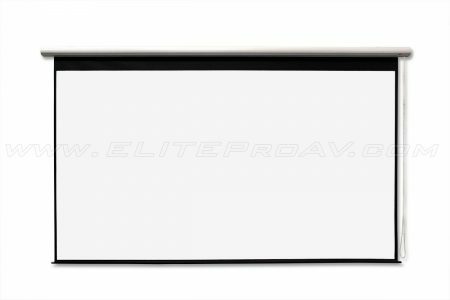 It also has black masking borders on all sides to mitigate projector overshoot while enhancing perceived visual contrast.